Read an excerpt from Taming the Sun. 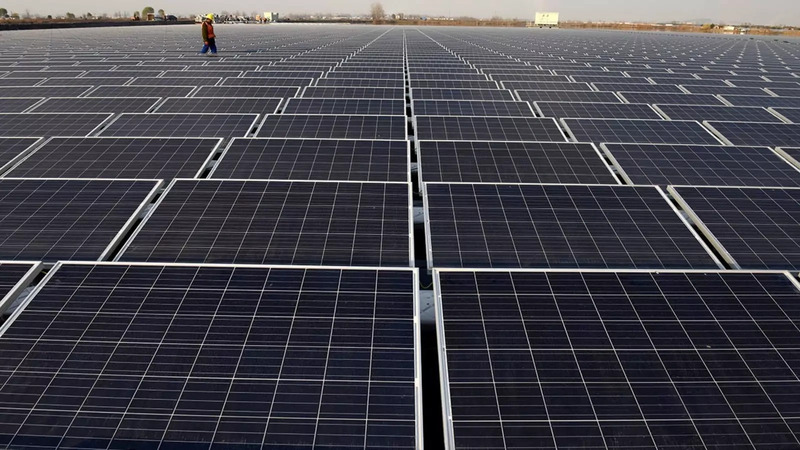 Solar energy could one day supply most of the world’s energy needs, but its current upsurge is in danger of ebbing, increasing the risk of catastrophic climate change. While solar energy is currently the world's cheapest and fastest-growing power source, if its growth falters, “few clean energy alternatives to fossil fuels are on track to compensate,” argues Varun Sivaram in Taming the Sun: Innovations to Harness Solar Energy and Power the Planet (MIT Press). Prescient and . . . readable. Educators: Access Teaching Notes for Taming the Sun. The book . . . lays out the history, promise and pitfalls of solar technology with an easy-going lack of wonkishness. But it offers a sobering message that may be as prescient—and as readable—as Robert Shiller’s Irrational Exuberance was before the dotcom and housing crises of the 2000s. Mr. Sivaram is a good guide to [the solar] sector. The book is both the best available overview of where the industry finds itself today, and a road map for how it can reach that brighter future. . . . Sivaram says he wanted to give an 'even-handed' take, and he has done so with his detailed look at the promise and the pitfalls of solar power. . . . Anyone who wants to understand how the move from fossil fuels to renewable energy might play out should take notice of the case Sivaram makes. Taming the Sun: Innovations to Harness Solar Energy and Power the Planet . . . may be the first important policy book of 2018. . . . This book is full of useful information, a pleasure to read, and more generally a model for how to write about science, technology, and policy. It will definitely make my 2018 'best books of the year' list. In 2017, solar power became the fastest-growing new-energy source. Yet as energy-policy specialist Varun Sivaram details in his global survey, that surge will be unsustainable unless countries invest in solar innovation. . . . Sivaram includes a raft of case studies, from current research on the photovoltaic materials called perovskites to Off Grid Electric, a start-up aiming to electrify swathes of Africa by 2019. Nature magazine, "the week's best science picks"
Taming the Sun is an even-handed untangling of a situation that can appear a mess of contradictions. Varun Sivaram takes us inside the world of alternative-energy innovation. He’s an optimist, but a realistic one: he knows time is running short for the public and private sectors to join forces. 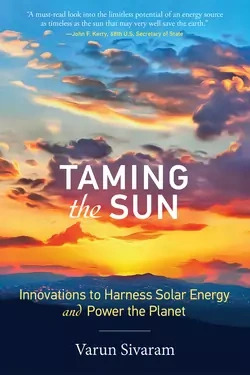 Taming the Sun is a must-read look into the limitless potential of an energy source as timeless as the sun that may very well save the earth. Taming the Sun makes a compelling case that not confronting climate change could have dire consequences and, at the same time, makes a powerful case for the promise of solar energy. Everyone from physicists to investors to legislators should find the book instructive. Sivaram is evenhanded and nonideological in building his argument, but as he makes clear, progress ultimately depends on the political will to act. In Taming the Sun, Varun Sivaram makes a levelheaded yet compelling case for the role that solar energy can play in addressing climate change. Coming from a scientific and policy perspective, his book introduces not only the solar technologies that are potentially important, but also what is required to fully commercialize them from a scaling, funding, and policy perspective. It is an important and nonideological contribution to important discussion and decision-making in a critical arena. Unlike any time since 1900, the world’s energy system is in play. The futures—what society wants, and what will actually happen—are hard to fathom, yet vitally important. Solar power lies at the center of this drama. Elegantly written and expertly argued, Varun Sivaram’s new book is a stellar guide to the technologies and policies that will determine whether solar power meets its potential. His sober optimism is infectious. Solar is the fastest-growing energy industry in the world, and it is at the heart of the clean energy revolution that is transforming technologies and economies around the world. 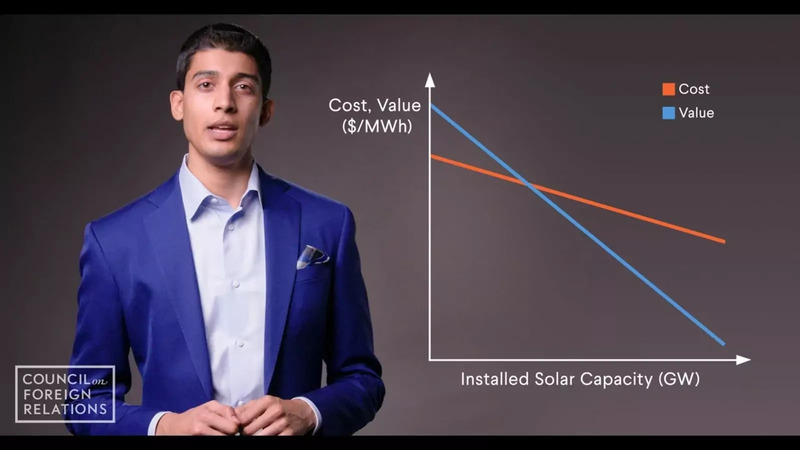 Varun Sivaram’s new book is an important primer about the global solar-energy industry and the potential this energy source has to improve the lives of people and to help protect our planet and our future. If you want to understand the history and the future of solar energy—one of the most important and transformative technologies of the twenty-first century—Taming the Sun is the book to read. Sivaram brings to bear scientific expertise in the most exciting frontiers of solar photovoltaics and interweaves science with business insights and nonpartisan policy recommendations. The result is the authoritative, balanced, and comprehensive text that the field has been waiting for. The power of solar energy has transformed on-grid and off-grid energy access discussions, yet many are not aware of these tremendous advances. This book is a wonderful guide to this clean energy revolution.